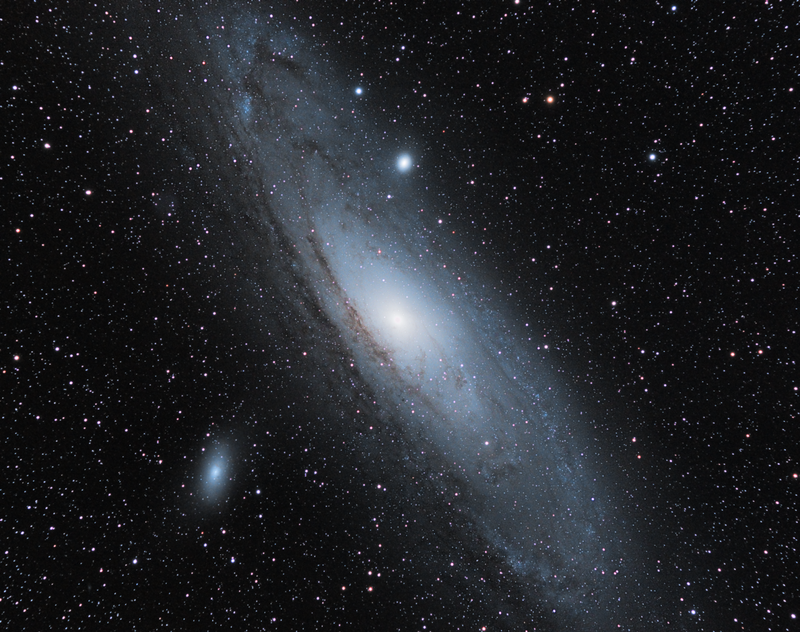 This is the Andromeda Galaxy, taken 14th/15th September 2013. The image consists of 6 x 30 minute subexposures. Read on below for technical details. This was shot when the moon was slightly over half full, but it was low in the sky and more than 90 degrees away from the target. Helpfully a front was clearing out and the moon was behind the cloud bank for the first couple of exposures. Guiding proved tricky with this image. I got six good subs, but one other was rejected as it had trailing and I had to abandon three others about a third of the way in due to run-away guiding in declination. I don’t yet know the cause. All processing was performed in PixInsight, and will be posting a series of updates explaining my workflow over the coming weeks, the first of which is Part 1, Bias Frames.